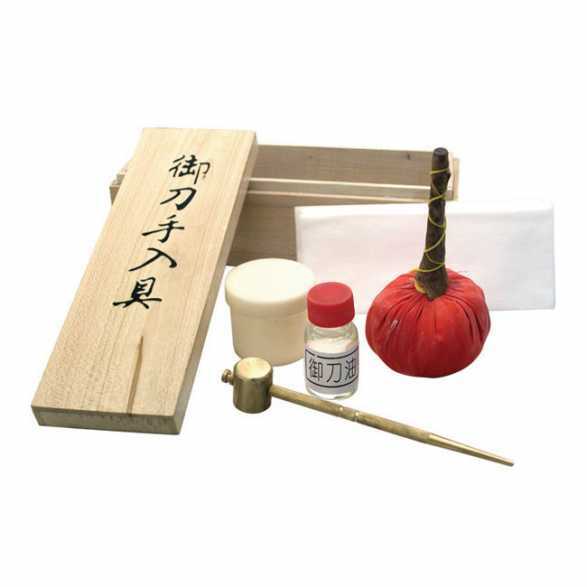 This is a very basic sword cleaning kit for Japanese swords. Brass Mallet is used to remove mekugi pegs. Powder ball for absorbing old oil and debris from blade. Rice paper and oil for oiling the blade.